Spend your family moment at AIA Carnival after Shopping in PARKnSHOP! 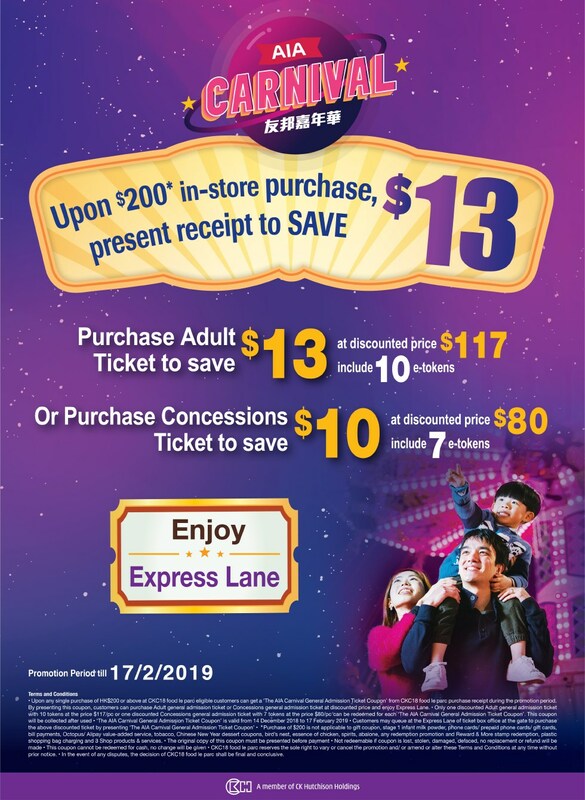 From now until 17 February, spend $200 in any PARKnSHOP stores, show your receipt at AIA Carnival to enjoy a $13 discount off Adult tickets, $10 discount off Concession tickets! So every super parents can bring your kids to Carnival after happy shopping, more rides and games are waiting for you. The most exciting part is you can also enjoy the PARKnSHOP express lane for admission. Get ahead now! Grab this chance and ask your family and friends to have hours of fun at the AIA Carnival!